To see a house in your dream represents your own soul and self. Particular rooms in the house point to a specific aspect of your psyche. To see your home in your dream signifies security, basic needs, and values. To see home of your childhood, or a home that you formerly lived in, indicates your own needs to build a family. 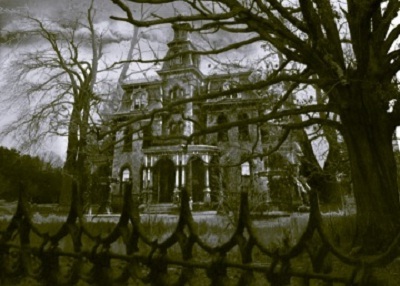 To see an old, run-down house in your dream represents your old beliefs, attitudes and how you used to think or feel. To see a new house in your dream represents that you are entering into a new stage or new region in your life. To see a mansion in your dream, suggests that you need to grow. You may feel that your existing circumstances or relationship is in a rut. To see a glass house in your dream signifies that flattery is likely to hurt you. To dream that you are living in a glass house signifies the threatened loss of your reputation. Dreams about different rooms often relate to hidden a region of the conscious mind and different aspects of your personality. To see an attractive or comfortable room in your dream signifies comfort and contentment in life. To see a dark, eerie or confining room, represents that you are feeling trapped or repressed in a situation. To see an attic in your dream symbolizes the hidden memories or repressed thoughts that is being revealed. To see a cluttered attic, represents the need to organize your mind and thoughts. Maybe you need to rid yourself of the past and let go of past emotions that are holding you back. To dream that you are in a basement, symbolizes your unconscious mind and intuition. It represents primal urges, animalistic desires and basic needs. To dream that you are in a cellar symbolizes a part of your subconscious mind where you have kept your fears and problems hidden. To dream that you are going down the cellar signifies that you are digging deep into your own past and facing your fears. To dream that you are in the bathroom, relates to your instinctual urges. You may be experiencing some burdens, and feel the need to “relieve yourself”. You need to clean yourself, both emotionally and psychologically. To dream that you are in the bedroom signifies aspects of yourself that you keep private. It is also indicative of your sexual nature. To see a closet in your dream, symbolizes something in your life that you have kept hidden. It may also signify an unveiling of previously hidden aspects of you, as in “coming out of the closet”. To see a kitchen in your dream symbolizes your need for warmth and spiritual nourishment. Alternatively the kitchen represents a transformation. To dream that you are in the living room symbolizes the image that you depict to others and the way you go about living your life. To see a hallway in your dream, symbolizes self exploration and the beginning of a path that you are taking in life. To find secret passageways in your dream parallels to something new and/or thrilling that is taking place in your waking life. To see the floor in your dream represents support. It may also represent the separation between the unconscious and conscious mind. To see a slanted floor in your dream, predicts that you are straying too far from your original plans and goals. To see a ceiling in your dream represents a mental or spiritual point of view. It may also symbolize the limits that you have set for yourself. To dream that you are walking up a flight of stairs symbolizes that you are achieving a higher level of understanding. You are making progress into your spiritual, emotional, or material journey. To dream that you are walking down a flight of stairs, suggests that you are going into your unconscious mind. It also refers to setbacks that are occurrence in your life. To see spiral or winding stairs, signify growth and/or rebirth. To see a wall in your dream symbolizes limitations, obstacles or boundaries. There is a barrier that is preventing you from progressing. You may be too comfortable with your old habits and way of thinking. To see windows in your dream signifies hopes, possibilities and insight. If the windows of a house are dark, then it indicates a loss in your perception or vitality. To dream that you are looking out the window signifies your outlook on life, your consciousness, point of view, awareness, and intuition. You may be seeking guidance. If you are looking in the window, then it indicates that you are doing some soul searching and looking within yourself. To see shut windows in your dream signifies desertion and abandonment. To see shattered and broken windows, denotes misery and disloyalty. To see a tinted window in your dream represents you are keeping aspects of yourself hidden or that you want to remain ambiguous. To dream that you are entering through a door signifies new opportunities that will be presented before you. If a door that opens to the outside signifies your need to be more accessible to others, whereas a door that opens into the inside denotes your desire for inner exploration and self-discovery. To see opened doors in your dream, symbolize your receptiveness and willingness to accept new ideas/concepts. To dream that the doors are closed or locked, signify opportunities that are denied and not available to you or that you have missed out on. Something or someone is blocking your progress. If you are outside the locked door, then it suggests that you are having some anti-social tendencies. If you are inside the locked door, then it represents harsh lessons that need to be learned. To dream that you are locking doors, suggests that you are closing yourself off from others. You are hesitant in letting others in and revealing your feelings. It is indicative of some fear and low self-worth. If someone slams the door in your face, indicates that you are feeling shut out or some activity or that you are being ignored.